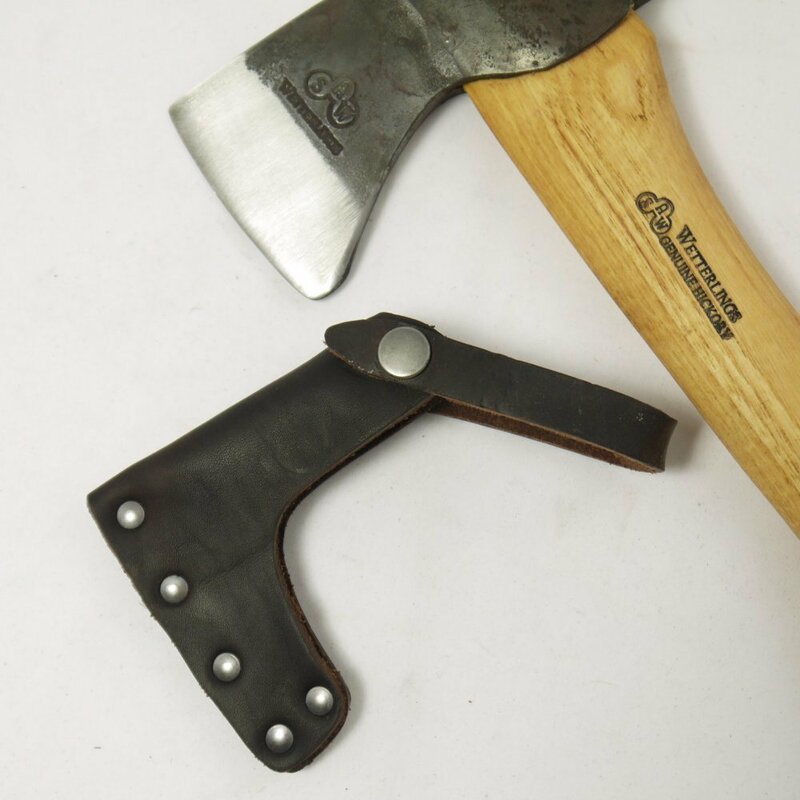 An axe that will cut down small light trees and create materials for building a forest camp, including collecting your firewood and making kindling. Also works well for simpler carving and sculpturing work. The head weighs 550 grams with a total weight of 700 grams and is made from Swedish carbon steel. The cutting edge is 70mm (2 3/4") long and the head is 140mm (5 1/2") long. Slightly rounded, sloped bevels are ground to approx a 24 degree angle, hardened to 56-58 Rockwell. Shares the same head as the Wetterling Wilderness Hatchet. The curved American hickory handle is 255mm (10") long. 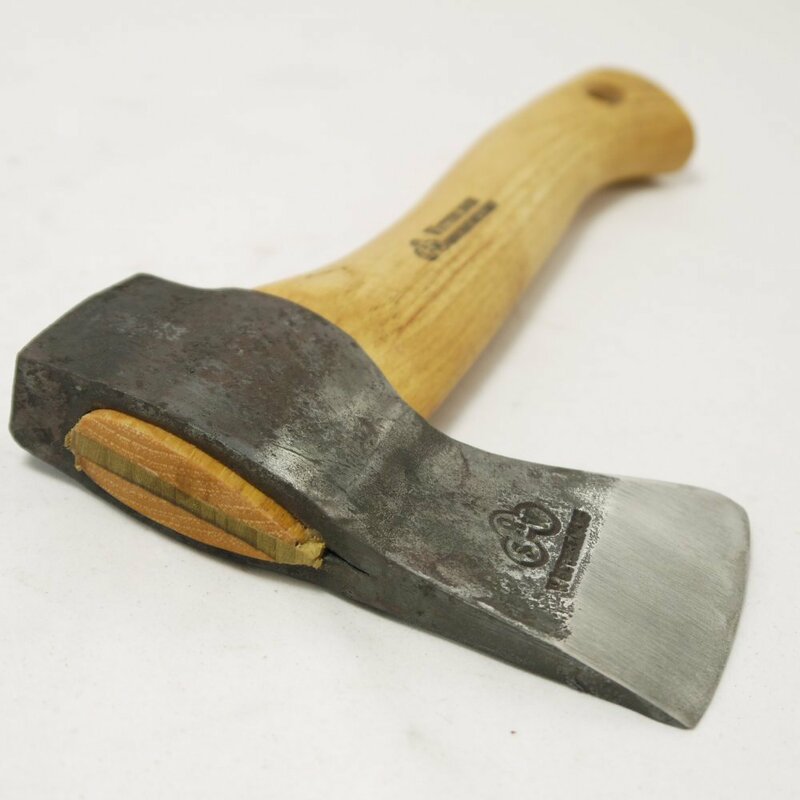 Comes with a beautiful thick vegtable tanned grain leather sheath which fastens with a popper, the Wetterlings axe book and a 20 year guarantee on forging.